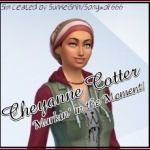 I personally don't have TS3, but from watching the Countdown to Doomsday Challenge on Youtube by Sofee and GBabyChallenger, I have fallen in love with the challenge and want to convert it. The Sims 3 rules that these will be based off of is on mod the sims by MistyDW. (modthesims.info/t/520091) I am also extremely open to feedback and editing this challenge as time goes on. I am just now starting the challenge myself and will probably end up making changes as I find problems with gameplay. I would also like to convert the Doomsday Colony challenge as well at some point depending on how well this goes. 5/9/16- no rules changed, just added a few hints and changed wording for clarity. Also added the link to my story. 5/20/16- just changed rule changes to being in italics as opposed to bold for clarity. 2/25/17- it feels like forever since I've been here . And this challenge is on the new challenge list!!!! 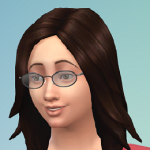 Anyway, I added that sims cannot be vampires, edited the aging rule to include toddlers, and being able to age them up when you want, and some rules with City Living. When you come home from work on a beautiful summer night in Oasis Springs, You are starving and decide to treat yourself and make chocolate chip cookies. As you put them in the oven, you decide to turn on the news while you wait for the cookies to bake. When you turn the TV on, There is a late breaking news bulletin. You stand in shock as the timer beeps on the oven. You take out the cookies, but no longer feel like eating. If they quarantined an entire town, this must be serious.You take a shower and sit down on your bed. You turn on the news once again to see if there are any new updates. You find that they are doing a special on the local park. You feel relieved as you drift off to sleep. You suddenly awake to a loud beeping. You sit up in bed, still half-asleep. Bob Newbie is on again, but this time he is visibly shaken. After the last report, you could not fall back asleep. You rolled around in bed for hours until you decided to get up. You make yourself a cup of coffee and grab a cookie from last night. You sit down on the couch and turn on the TV to find another news report. “Good morning, further events concerning the virus that ravaged Newcrest have unfolded. Marshal law has now been declared on the streets of Newcrest. The death toll continues to rise and citizens are resorting to desperate acts of crime to survive. Scientists at Future Labs inc. have reported that the virus is strongly believed to lie dormant in host sims who contain a genetic resistance to it. Anyone who comes in direct contact with the host becomes a carrier who must either develop antibodies to force the virus back into dormancy or their bloodstream is poisoned leading to organ shutdown and eventually death. The survival rate in humans is one out of every twelve infected. Scientists are calling it the “T-12 Virus” but those left in Newcrest have given it a very different name, “The Doomsday Virus”. 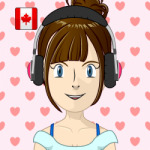 ~Start out with as many sims as you would like. They all have to be young adult and human(if you have Get to Work/Vampires). You can have kids later on if you would like. Just keep in mind that traits cannot be repeated in the household. If you get down to it, traits can be repeated as long as they've been used once before or the unused traits conflict each other. ~Move them into any lot in Oasis Springs. It can be a pre-existing house or an empty lot. For those who choose an empty lot, here's a heads up: you won't be staying there, so don't invest a lot of time in building. I recommend downloading a house from the gallery or moving into a a pre-existing house. You can use the freerealestate cheat if you would like. ~You can start off with as much money as you would like (no, you're not reading this wrong ), just make sure you have at least a couple thousand on hand. ~Sims are confined to their home (they can go outside as long as their lot is fenced in and they stay on their lot). This means no jobs and no school (just cancel the action for kids and don't get the adults jobs). I recommend having the entire lot fenced in, and have a locked gate. ~Age Span must be set to normal. However, feel free to age up babies/toddlers whenever you want. You must wait until you get the notification that it is the sim's birthday to age up kids, teens, young adults, adults and elders. You may age them up via cake, if you have one . If not, they will have to age up naturally. ~At some points in the challenge, you will have to roll a dice to see if you have contracted the virus. You can use a real 20-sided dice, an app, a website (I'll be using random.org) or picking out of a hat even. Just make sure there are 20 things that could be selected. ~The threshold will go up every couple days. Whatever that number is, you must get over that number to survive. If you roll a number under the threshold, you must roll again to see if the sim survives. The threshold for the second roll is 12. If you roll under 12, your sim dies. However, if they survive the second roll, they are immune to the disease (they don't have to roll) until a new strand comes out. ~If your sim dies from the virus, feel free to dispose of them however you wish. Options include putting them in a room and starve them, age them up to elder via cake and make them workout twice back to back (until that option becomes unavailable), feeding them to a cowplant (you can't use the milk) or drowning them. You can go the fire/electrocution route, but that's harder to set up when you need it. 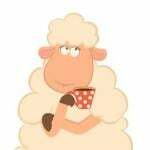 ~You need to roll a virus check if your sim becomes ill (if they survive, drink tea to cure them, don't order medicine since it's not available due to the virus). You also need to roll if your sim comes in contact with anybody outside of the household or if the day's events require it. Also, if your sim(s) are out and about during leisure hours and they eat/drink anything that they did not make themselves, you must roll as well. You don't know who made or if they are infected. ~Having the athletic skill will help you! For every level you reach, you get 1 point off the second threshold. For children, it stays at 12. 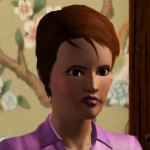 EXAMPLE: My sim is feeling ill, and the threshold is 5. I roll and I get a 3:(. My sim has a level 6 athletic skill, so I take 6 off of 12 to get 6 as my threshold. I roll again and get 8. My sim survives and is now immune until a new strand comes out. ~You can keep or sell any collectibles/plants you find. Just remember, you can't leave your lot to go collecting when it's not leisure hours. ~If you want an extra challenge, don't read ahead through the countdown. If you do, just make the choice that you would make in that situation regardless of the outcome. ~If a rule changes during your challenge, you have the option to keep the old rule or go with the new one. For example, if the rule about food changes (it probably will), depending on where you are in the challenge, you can keep or change the rule in your challenge. ~No ordering pizza, maid service, repair service, gardening service or anything of that nature. You don't want strangers coming into your house that could be infected! ~All babies born must be home birthed via the bassinet. The hospital is too busy with virus patients to delivery your baby. ~If by some crazy chance your sim is bitten by a vampire, do what you've got to do to get them back to the way they were, but roll with a threshold of 15, and no athletic skill bonus. This will take 40 days (all of your original sims' young adult and adult life if they make it that far). There will be an event almost every other day. Sims are free to do whatever they like, but they must stay on their home lot and roll if something from ^^ happens. This day picks up from the prologue. You only know as much information as you got from the news broadcasts. Another broadcast comes on the TV just as you're calming down from being informed you must stay in your home. *Note: This part is still "under construction" as I was having a hard time coming up with an alternative for having two hours and a half to go to the grocery store and bookstore. If you have a better idea, let me know in the comments and I can change it. "This is Bob Newbie from channel 6 with another update. For emergency purposes only, citizens of Oasis Springs are allowed to order seeds, books, or anything they deem necessary to survive (build/buy mode will still be available, but don't go remodeling your house every week; only use it when you need to). After today, all stores will be closing. Thank you". Once your first plant is able to be harvested, you cannot cook any meal that does not require plants, and you must use the plants to make the food. If you catch any fish during your leisure hours, you may make food that uses the fish you caught. This means no quick meals as well. Later that evening another emergency broadcast was on, notifying everyone that cases of the T-12 virus had been discovered in Willow Creek, a neighboring community. While the virus has not been reported in your town, precautions will continue to be in place and residents should prepare for the worst. ~The first cases of the T-12 Virus have been reported in Oasis Springs. From this point on, you must roll if one of the four things requiring a roll occurs. Citizens of Oasis Springs have requested time to leave their homes for leisure. Officials agree, but each neighborhood is being released for three hours. Your neighborhood is being released between 6:00 PM and 9:00 PM. During this time, you may go anywhere you choose. Just remember, if you touch anybody besides household members or eat/drink something you did not make, roll your virus check. Also, if you are back late, you may not participate in the next leisure release. While the virus is widespread in the other towns, your town has kept it quite contained. As much as you have cabin fever, you realize that the restrictions are helping keep the virus contained. Because of how contained the virus is, you may order things today and cook freely with out having to have the plants/fish to make it. Now is a good time to do some pre-cooking or order some new books. Due to public protest and the fact that the virus is fairly contained, citizens are allowed to leave their homes for three hours, when their neighborhood is released. Your neighborhood is free to leave between 8:00 AM and 11:00 AM. Like before, if you touch anybody or eat/drink something you didn't make, do your rolls, as well as the rule about being late. Despite their best efforts, town officials could only keep the virus contained for so long. The virus is now widespread in Oasis Springs. I guess they shouldn't have had the leisure hours ( ). Communication with Newcrest is completely lost (hence why it's empty). *No power outside of 8:00 AM through 8:00 PM. Outside of these times, no lights, TV, computers, cooking besides grilling, or anything you would plug in. We are assuming you charge your phone/slablet, if you have it, during electricity hours. Hope you have candles (you can buy a few at this point if you didn't have any, but don't go overboard). *Same goes for sewage/water. No flushing toilets, taking showers, using sinks/dishwasher, watering the garden or anything with water outside of 8:00 AM and 8:00 PM. A new strand of the T-12 Virus has been discovered. Sims that survived the virus are no longer immune. You turn on the TV at 8:00 AM when the power comes on. A news report comes on. Your town is looking for volunteers to get help to citizens who need it. Volunteers may leave their house at any time today to deliver food to citizens. If you do not volunteer, you must stay in your home. If you decide to volunteer, just cook any kind of food (does not need to require plants), knock on someone's door and place the food on their counter. If there are any chores to be done (cleaning, fixing etc.) you may do them, but it's not required. If you touch anybody, roll your check. You are allowed to be outside your home do with that what you choose. Because of public demand, you may order things today. But since supplies are scarce, you may order seeds/books, but cannot cook anything you want today. You must continue to cook with only plants/fish. Power and water are now down to only 10:00 AM-4:00 PM. Outside of that, you have no electricity/water. *there is a bit of preparation for this day because of the difference in TS3 and TS4. Download a hospital or something like that to an empty lot in Oasis Springs. Make sure it is a residential lot however. You could build it too, but that might take too much time for a one-time use. There is a vaccine being tested for the virus!! You take your entire household to try it out. Go to your "hospital" that you placed. Before you can receive the vaccine, you must be tested for the virus DO NOT ROLL . The sim with the lowest athletic skill is possibly infected. They must stay in the hospital for 24 hours for observation. That's why it had to be residential (I've had issues in the past moving people into a non-residential lot). Move that sim into the hospital for a day and then put them back in the house. Also, if you touch somebody outside of the hospital lot, roll your check. Keep in mind that it was just a test vaccine, so it doesn't give you any benefits. A disaster strikes and the town's power plant explodes!! Water can be purified for homes, but the fish population has been decimated. You can no longer fish. If you still have fish in your inventory, you can still cook with it, but after that no more fish for food. 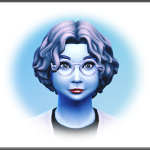 Your original sim(s) should be aging up to adult if they are still alive. During the night, a band of street thugs with guns declare themselves the law since the police cannot control them. They are going house to house, taking what they want and killing anybody in their way. You hear screams followed by gunshots. You decide it is no longer safe and that you need to leave immediately. ~Three units of food count for one item. (So if I had 6 scrambled eggs left, that would count for two items). ~You cannot carry large items like furniture with you. Only bring things that would fit in a suitcase/backpack. ~Move to one of the 20x15 lots in Oasis Springs. Bulldoze the existing house and evict the family if there is one living there. ~Build one small room, no larger than 10x10. There can be a small bathroom, but other than that, it has to be one room. On the outside, choose a wall pattern that would hide the house. Fill the lot with trees, but leave space for a garden. ~On the inside, pick a flooring/wall color that you would find in a cabin in the middle of the woods. Nothing luxurious. Place the cheapest of the following: dining table with two dining chairs, love seat, two beds, a bassinet, toilet, shower, wall mirror and candles. Notice how there's no kitchen. You can no longer have cake to age up a sim. ~Open the cheat console and take your money down to zero (type: money 0) Simoleans are no longer worth anything. You can no longer buy anything. However, you will be given opportunities to barter. ~There is no electricity and water is only available for two hours a day, from 8:00 AM-10:00 AM. ~If you have a kleptomaniac, they may go into town and swipe things. However, if it uses electricity, it is useless. Sell it and then set your money back down to 0. ~A new strand of the virus has been discovered. All immune sims are no longer immune. ~Also, the virus can be spread by close contact. If you are face to face with somebody, roll your check. ~One more thing, If you brought a radio, we're assuming it's battery operated. However, it cannot be repaired once it is broken, because the batteries have gone dead. You are awakened by a loud BOOM in the distance, followed by laughing. It is still dark out, your best guess is 3AM. You look out the window and see nothing. To insure your safety, you send the sim with the best athletic to investigate. They walk for a few minutes before they see a fire burning in the distance. It looks like a band of street thugs attacked a house. You feel relieved until you hear a timid voice behind you. You turn around to find a young child (boy or girl). "H..Hello, please help me"
The child appears sickly and afraid. The child is in rags and is very dirty. You start a conversation, but the child is too scared to come close to you. No need to roll a virus check at this point. The child continues to tell you that the house that was burned was his/her home. Their last remaining family member, their older brother, got involved with bad kids in order to steal food and other supplies. However, a rival gang burned the house down, and his/her brother abandoned them and ran off with his "friends". 1. Tell the child to get lost. There isn't enough food as it is, and one more mouth to feed would make it worse. They run off, crying, into the darkness. You do not need to roll here. You go back home and get back in bed. A. Your sim passes the check, the child is not infected. You can add him/her to your household, and nobody else needs to roll. B. Your sim fails the first roll but survives, you may add the child to the household, but everyone else in the household must roll. C. Your sim dies from the virus. The child runs away, fearing that they are already infected. You may dispose of your sim however you want. ~If you add the child, it can be male or female, but must be pale and thin, and cannot have fancy clothes. Their aspiration can be whatever, but their trait must be shy. *A water pump (two extra hours of water daily) for 50 units of food, a bed or a crib. *A power generator (two hours of power daily) for 50 units of food or your table and chairs. ~If you can think of another deal to make, or something to replace one of the "prices" on something, go for it, but he's not a fool, and won't take a bad deal on his end. his son jumps out from behind a tree and a fight breaks out between you and him. The man pulls his son away and leaves, but he drops a radio in his haste. Nice job, but you have to do a virus check and he won't be back. ~You do not need to roll at all unless you try to rob him. ~If you trade for the radio, TV, toy, shower or toilet, you can use money cheats to buy them in build/buy mode. You can use the showhiddenobjects cheat as well to purchase three seeds if you made that deal. Just make sure to set your money down to zero when you're done . During the night, a band of thugs came by your house. They weren't brave enough to enter your house, but they took anything you had outside (if anything). They also tried to harvest your garden, but messed up and destroyed it. You may save any three plants, but other than that, all plants must be deleted (sell then set money to 0). Hope you have some food stored up to replant! Another strand of the virus has been discovered. Sims are no longer immune. Your sims are up bright and early at 8:00 AM. While eating breakfast, they hear a helicopter overhead. They run to the window to see a chopper with EMERGENCY SUPPLIES painted in red on the side. It's heading in the direction of the park. Do you try to obtain some of the supplies? 2. When you get there, you see a man in rags going through the supplies. He doesn't seem interested in sharing. You notice a package at make a run for it at the same time as the man. 3. If you brought multiple sims, the man backs down, and you get the package. If you come near anybody, roll your check. 4. If you came alone, find somebody and do whatever it takes to fight them. If you win, you get the package. If you lose, you don't get the package. regardless, you have to roll your check. The threshold for this only is 6 instead of 10. 1 sim: 400 simoleans worth of seeds (place a computer in the park, then order them or use the showhiddenobjects cheat), two booster shots (see down below) and an outdoor water pump. This allows you two water your garden for two hours outside of the 8:00 AM-10:00 PM time slot. 1+ sims: 300 simoleans worth of seeds and one booster shot. BOOSTER SHOT: Takes two points off the threshold. So if someone needs to roll and the threshold is 10, the shot takes off 2, making the threshold 8. ~Your're in the park. Do with that what you choose. The child comes up to you and confesses that she went and poked around her old house despite being told to stay inside at all times. They found a power generator that can provide three hours of electricity daily, but it needs to be repaired and needs gas. If you have a sim with level five handiness or higher, they can repair it, but you need to dig up gas. For every three rocks you dig up, you get an hour of electricity, with a maximum of three hours. The only downside is if you run into somebody, you need to roll. Everyone in your house that is not immune becomes ill. All members of the household must roll unless they are immune. There is no immunity from here on. The human population has been decimated, but somehow you've managed to survive. You hear that the government is looking for survivors to create a colony (Doomsday Colony challenge coming soon). Note: the challenge ends after this day ends, so if you get sick on this day, you still have to roll and could die. Like I said above, I am open to feedback, and would love to hear your suggestions for how to make the challenge better! Wow! Will be watching to see how you do with this challenge. Looks complicated, but super interesting! It took a good 10 hours to type over the course of three days. I've never done a challenge with rolls, so this is new for me. I hope you try this challenge I've been doing it for a couple sim days, and it's been pretty fun. I am a little confused about the THRESHOLD number. Read my Apocalypse Challenge story here! I am a little confused about when you roll. Do you roll daily no matter what? Or only if that days rules require it? In Day One you say you roll if one of 4 things happen. What are the four things? Or as I read through the days will it tell me when to roll? I am just confused LOL..sorry. Been one of those weeks where I seem to have left my brain around here somewhere. Anyway, the minute I get one of the many challenges I am doing completed, I am going to do this. It sounds so fun. Can't wait to see the Colony Challenge too. I will be reading your attempt as well. Boomarked. Okay yeah that clears things up. Thank you. So, say your main Sim dies from the virus, is the challenge over or do you continue on with his kids? Wow, @Alleenmens I hope your Sims survive. Yeah I was reading the rules again and it looks like as long as you have at least ONE surviving member of your household you are good to continue. So, I think my couple is going to have some kids real quick LOL. As long as you have one sim left in the household, the challenge continues. It doesn't matter who dies as long as not everybody dies. I was hoping someone would do this! Honestly, if someone wasn't planning too then I was going to do it myself. Xd! Glad to see this! wow this sounds like a fun challenge, I am going to try it.